After the snow clears at the foothills of the Himalayas in late April, Hindu pilgrims start flocking to the four ancient temples known as Char Dham. Located high up in the Garhwal region of Uttarakhand, these temples mark the spiritual source of four holy rivers: the Yamuna (at Yamunotri), the Ganges (at Gangotri), the Mandakini (at Kedarnath), and the Alaknanda (at Badrinath). Hindus consider visiting the Char Dham to be very auspicious. Not only is it believed to wash away all sins, it will also ensure release from the cycle of birth and death. There are a number of options for going on a Char Dham yatra (journey). When Can the Char Dham be Visited? The Char Dham are only open at certain times of the year from late April or early May to November. May and June is the peak pilgrimage period. The monsoon season (July to September) can quite dangerous as the rain makes the route slippery. How Can the Char Dham be Reached? A Char Dham yatra isn't easy. Pilgrims really need to earn the benefits bestowed, as only two of the temples (Badrinath and Gangotri) are accessible by vehicle. The remaining two (Yamunotri and Kedarnath) require treks. Kedarnath has the lengthiest trek. It takes around 10-12 days to visit all the temples. However, it's now possible to cover all the temples in two days by helicopter. To help ensure the safety of pilgrims, a compulsory medical checkup has been introduced for those going to Kedarnath temple. In addition, all pilgrims must complete biometric registration. This can be done online here. There will be regular weather updates provided along the route, as well as telecommunication network coverage, mobile medical facilities, and a control room. Where are the Char Dham Located? Badrinath and Gangotri -- are both directly reachable by road from Haridwar, Rishikesh, Kotdwar, and Dehradun. Yamunotri -- the trek starts from Janki Chatti, 225 kilometers (140 miles) from Rishikesh. Kedarnath -- the trek starts from Gaurikund, 207 kilometers (130 miles) from Rishikesh. Are there any Tour Packages? Government-operated Garhwal Mandal Vikas Nigam organizes package tours by bus every year from May to November. There are plenty of options from seeing only one temple to all four temples. It's possible to include the Valley of Flowers and Hemkund Sahib too. Most tours depart from Rishikesh but some leave from Delhi, depending on the itinerary. The shortest tour is four nights. Tours are priced from around 10,000 rupees per person. Some have shared accommodations and bathroom. If you'd prefer a more upmarket option, Leisure Hotels has set up luxury Chardham Camps at each of the sites and is offering 10-night fixed departure tours from Delhi. The cost is 59,999 rupees, plus tax. Other shorter package tours are also available from Haridwar. Prefer to Go Your Own Way and Want More Information? The temples are usually visited in clockwork direction, from west to east. This means you should see them in the following order: Yamunotri, Gangotri, Kedarnath, Badrinath. Haridwar or Rishikesh are the starting points for transportation. What is the Situation After the 2013 Flood At Kedarnath? Substantial repair and reconstruction works have been carried after the flash flood in Uttarakhand, which caused extensive devastation and loss of life in the area around Kedarnath temple. The work is still ongoing, and includes new accommodations and sanitation facilities for pilgrims. In addition, the damaged stretch of road from Kedarnath temple to Gaurikund has been restored and a helipad built. Preparations have also included setting up an early warning alarm system to provide alerts about any disasters on the Kedarnath yatra route and around the lake there. Details of the works are available here. Badrinath temple is the most accessible and thus most popular of the Char Dham. You'll find this temple, dedicated to Lord Vishnu, surrounded by a rather untidy village and overshadowed by the towering, snow-topped, Nilkantha peak. When is Badrinath Temple Open? The opening date is decided by priests on Basant Panchami in February, while the closing date is decided on Dussehra. Generally, the temple remains open for around 10 days after Diwali. In 2019, Badrinath will open on May 10. How Can Badrinath Temple be Reached? Read more about Badrinath temple and how to visit it in this complete guide. 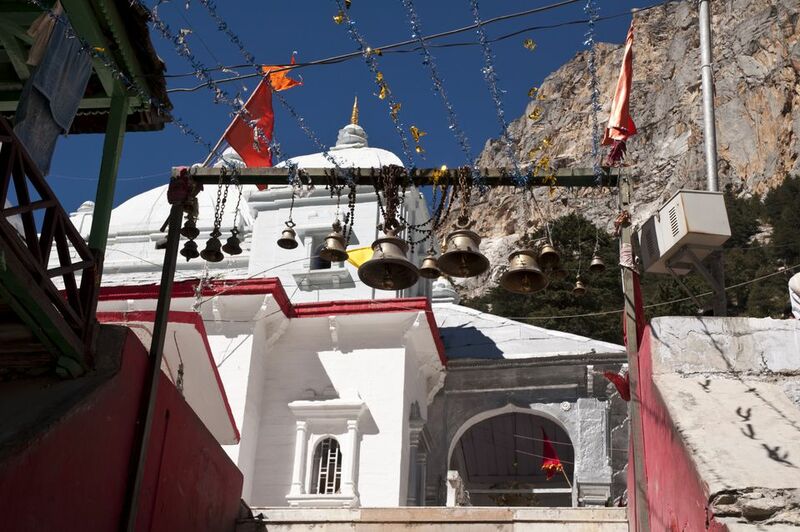 The simple shrine of Gangotri temple has special significance for Hindu pilgrims. It's considered to be one of the holiest places in India as it's regarded as the spiritual source of the ever powerful Ganges River. 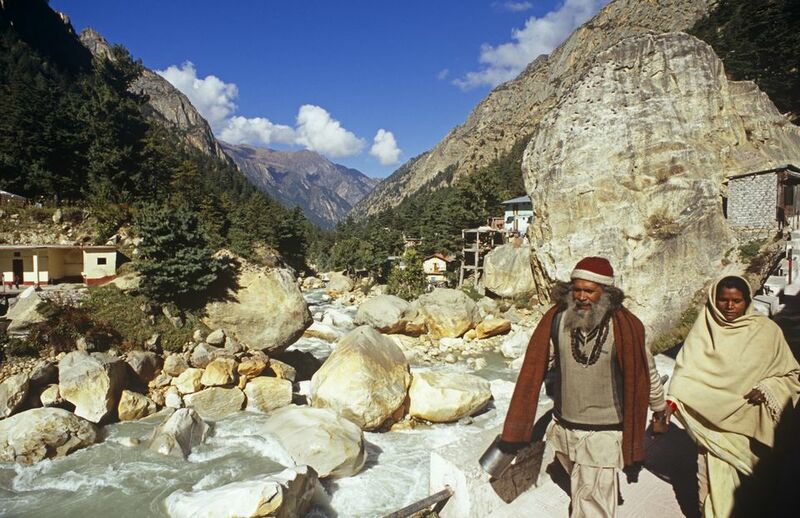 Set amidst rugged mountains and forest, Gangotri attracts almost 300,000 pilgrims a year. Every evening towards 8 p.m., an aarti (worship with fire) is held at the temple. When is Gangotri Temple Open? Gangotri temple opens on a set day every year. This falls on Akshaya Tritiya (an auspicious day in the Hindu calendar), in the last week of April or first week of May. In 2019, Gangotri will open on May 7. The occasion features a traditional procession of the Goddess Ganga back from her winter home at Mukhyamath temple in Mukhba village, 20 kilometers (12 miles) downstream. The temple closes on Diwali every year, and the Goddess returned to Mukhyamath temple. How Can Gangotri Temple be Reached? Gangotri is most popularly reached from Rishikesh (12 hours away) via Uttarkashi (six hours away). It's possible to take a bus or jeep to get there. Guesthouses and a GMVN Tourist Bungalow provide accommodations for those who want to stay. If you don't mind a strenuous trek, you can actually go to where the Ganges River emerges from a glacier above Gangotri. The actual source is an ice cave called Gaumukh (meaning Cow's Mouth), 18 kilometers (11 miles) up. Three days are required to complete the return trek, with around six hours of trekking a day. You can stay in a dormitory at a GMVN Tourist Bungalow along the way at Bhojbasa. It's situated around six hours from Gangotri and three hours from Gaumukh. The Yamunotri temple lies close to the source of the Yamuna River, the second holiest river in India, which flows all the way down past the Taj Mahal. The temple is relatively undeveloped as it's the least visited of the Char Dham. However, there is a certain magic to be experienced from the pristine mountain air, running water, natural scenic beauty, and enthusiastic devotees. Pilgrims also get to enjoy a number of hot water springs in the vicinity of the temple. When is Yamunotri Temple Open? The same as Gangotri temple, Yamunotri temple opens every year on Akshaya Tritiya (an auspicious day in the Hindu calendar). It falls in the last week of April or first week of May. The temple also closes for the season on Diwali. On the day the temple opens, the Goddess is carried from the nearby village of Kharsali (said to be Yamuna's mother's home), installed in the temple, and duly returned when the temple closes. How Can Yamunotri Temple be Reached? The route by road is Haridwar/Rishikesh-Dehradun-Mussoorie-Naugaon-Barkot–Hanuman Chatti. The journey to the village of Hanuman Chatti, which is around 14 kilometers from the Yamunotri temple, takes around eight hours from Rishikesh and six hours from the hill station of Mussoorie. From there, it's necessary to take a shared taxi (departures every few minutes) to Janki Chatti. Your trek starts there! It's only 5 kilometers (3 miles) to the Yamunotri temple, via Kharsali, but it's a very steep and and in some parts narrow climb. As a result, people usually take around two hours to cover the distance and it really helps if you take a locally available walking stick. If you find you don't want to walk, there are mules and men to help carry you. Basic guesthouses and GMVN Tourist Bungalows provide accommodations at Yamunotri, Janki Chatti, and Hanuman Chatti. If you stay the night at Yamunotri, you'll be able to witness the evening aarti (worship with fire) there. Is it Possible to See the Actual Source of the Yamuna River? The origin of the Yamuna River is a frozen lake and glacier located around a kilometer above the temple. Unless you have mountaineering skills, the climb isn't advised though. It's a very difficult one. The most remote and holiest of the Char Dham, although Kedarnath temple requires effort to get to, it still draws more than 100,000 pilgrims a year. This is because it's considered to be the seat of Lord Shiva and the most important of the 12 Jyotirlingas (large lingas/shrines to Shiva) in India. It's an impressive temple too -- perhaps the largest and most magnificent one in the Himalayas. Situated high up in Lord Shiva's territory, it occupies a glacial terrace leftover from a long ago melted glacier, in the Mandakini Valley. When is Kedarnath Temple Open? The opening date is decided by priests on Maha Shivaratri in late February or early March each year. In 2019, it's expected to open in the first week of May. The temple closes the day after Diwali each year. How Can Kedarnath Temple be Reached? The route to Kedarnath starts off at Rishikesh and heads in the same direction as to Badrinath, but branches off at Rudraprayag (where connections are available). The destination is Gaurikund, 14 kilometers (9 miles) from Kedarnath. The whole journey from Rishikesh takes around 12 hours by bus or jeep. Then, from Gaurikund, it's a grueling uphill trek to the temple. Expect it to take around six hours. The stunning scenery of the Mandakini River along the way helps though! Those who don't feel up to walking can opt to take a pony, which will reduce the duration of the trek by an hour. There are porters available to help carry luggage as well. Alternatively, Kedranath temple is also accessible by helicopter! Pawan Hans Helicopters Ltd. (owned by the Indian government) provides services. A one way trip only takes 15 minutes. In terms of accommodations, basic GMVN Tourist Bungalows can be found at Gaurikund. Following the devastating 2013 flash flood, which destroyed infrastructure around the temple, the government has constructed tent colonies to accommodate pilgrims. New sanitation facilities, including toilets and bathrooms, have been added along with community kitchens.